A common misconception that many people have is that a water softener will help increase the life of their water heater. While there may be some benefits to having a water softener, increasing the life of your water heater is not one of them. In the past the water softener sales pitch had included benefits to your plumbing system. The idea behind increasing the life of your water heater is that you would reduce the sediment that builds up inside of the tank. Sediment can have a negative impact on your water heater efficiency and overall life of the tank, so it's a good idea to flush your water heater every 6-12 months. If you have a water softener you should replace your anode rod ever 3 years. Most plumbers know this and will make the recommendation if they install a water heater. The salt from the softener will eat away at the anode rod and will usually disintegrate within a few years. Newer water heaters have a glass lining on the inside of the tank. This glass liner has hundreds of air bubbles that create pockets that are susceptible to the sodium from the water softener. Much like the deterioration of an Anode rod, the glass liner of the water heater also seems to break down. We recommend installing a jumper cable if you have a water softener. A water softener can interrupt the grounding of the water lines. Stray currents that can result from flowing water can have a negative impact on the life of your water heater. All water softeners have check valves installed that will restrict water from flowing in a backwards direction. These check valves are required in order for the water softener to work properly. This creates a problem with the water heater due to the fact that water expands when it is heated. If the water cannot flow away from the water heater when the pressure builds it will create a high pressure buildup inside of the tank which often results in premature tank failure. 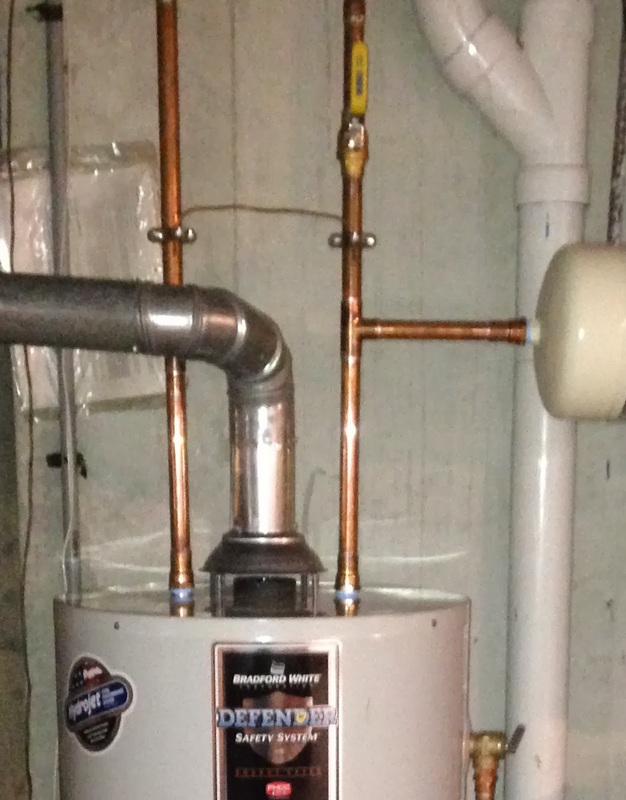 For more information about thermal expansion tanks visit the rest of our blog.